Though the Party has been bumping along for too long at seven per cent in the national opinion polls, the Liberal Democrats’ membership has grown remarkably. There are now more than 20,000 LibDem members in London — making it the most successful LibDem regional party — so maybe it was not so surprising that yesterday’s London autumn conference was the best-attended ever. A very high proportion of those attendees were “newbies”; a woman from Brent who sat next to me had defected from the Conservatives just last week! The venue was fresh: the beautiful new University of West London complex in Ealing, where staff really looked after us well — including the food. But of course it was the food for thought that was the important thing, and we were treated to fine speeches by the capital’s three London MPs, Tom Brake, Ed Davey and Vince Cable. Ed Davey captured everyone’s attention by taking off one of his socks (to make an environmental point, apparently) while Tom Brake, as the party’s Brexit spokesman, gave a rather dispiriting account of the dog’s breakfast that is the Conservatives’ Brexit. A high percentage of new LibDem members joined the Party in their anger or frustration over Brexit and inevitably fighting for an Exit from Brexit will remain a major focus for LibDem campaigning for the next year and probably well beyond. But as Vince Cable made clear in a thoughtful speech that ended the formal business, this is not a one-issue Party. He spoke about the economy, but also health and education, and demonstrated the great quality that distinguishes him from both Theresa May and Jeremy Corbyn: wisdom. 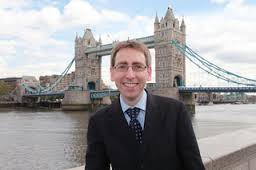 It was a great relief that the voters of Twickenham returned him to parliament with a majority of nearly 10,000 in June, following two years in the political wilderness. He noted that he was the first London MP to lead the Liberal Democrats since William Gladstone’s period as MP for Greenwich (1868-1880), and so maybe it’s not surprising that London LibDems like me tend to think of him as “our Vince” and are rallying behind him to bring about the Party’s national revival. 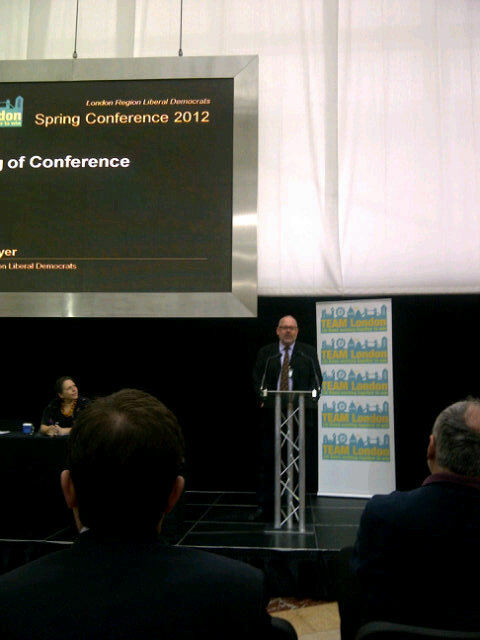 Creating jobs was the central theme of London Liberal Democrats’ autumn conference held in Camden last night, with inputs from the borough council, national and European levels. Both Sutton MPs, Tom Brake and Paul Burstow, were on hand to champion the work they and their colleagues are doing in the Party’s flagship London borough, with some interesting new information about how they are relating to some of Sutton’s “hidden gems”, such as the Royal Marsden and related centres for excellence looking at cancer. Housing was also high on the conference agenda, with Stephen Knight, one of the two LibDem members of the London Assembly, presenting his report on how the capital’s critical housing shortage can be tackled by building more homes, which would also bring many thousands of the currently unemployed qualified construction workers back into the labour force. Anood al-Samerai, Leader of the Opposition on Southwark Council, highlighted the need for more genuinely affordable homes and accused the Council’s current Labour ruling group of failing to ensure these are being provided by developers. Sarah Ludford MEP — whose trip to the US had been cancelled, meaning she was present after all, gave a brief summary of what she has been achieving at the European Parliament level, notable in her chosen field of Justice and Home Affairs. As many speakers emphasized, including Robin Meltzer, PPC for Richmond Park, in his closing speech to the conference, with all-out London borough elections taking place on the same day as the European elections in London next year (22 May), there must be an integrated campaign and it is a matter for celebration that the Liberal Democrats really will be fighting the European election next year on European issues — as the party of IN. It was heartening to not only see the numbers who turned out for the conference on a Thursday evening but also to feel the real buzz in the hall, which bodes well for the energy of the campaign next year. London Liberal Democrats descended on Croydon today for our autumn conference, which also featured a Question and Answer session with nine of the ten shortlisted London Euro-candidates. The full hustings will be at Friends House, Euston Road, on Sunday 4 November. But the star turn of the day today was guest speaker Elif Shafak, the Turkish novelist who writes in both Turkish and English, including penning articles for The Guardian from time to time. She read an extract from her latest novel and also spoke on the theme of identity and belonging, especially in the context of a migratory life. While no model of multiculturalism is perfect, she feels London is an amazing place to be, and rather regrets that Kemalist Turkey modeled itself on France, laicité and all. Today was also special as it provided a platform to launch the by-election campaign for the newly-selected Croydon North Liberal Democrat candidate Marisha Ray. By a coincidence that Dame Edna Everage would undoubtedly have termed ‘spooky’ we had chosen Croydon as the venue for this year’s autumn conference long before there was any inkling that the poor Labour MP for Croydon North — the much-respected Malcolm Wicks — would pass away, leaving a vacancy. In the extended lunch-break, accordingly, most of us set off to the constituency to do some delivery and surveying, and a very friendly reception we got too. In the afternoon, Tom Brake MP, newly appointed Deputy Leader of the House of Commons, explained entertaingly what that job entails. Brian Paddick made an excellent power-point presentation on leadership and then the man who will succeed me as regional Chair when I step down at the end of the year, Mike Tuffrey, gave a speech which proved why he is a very sound choice. With just over a month to go to the London Mayoral and GLA elections, London Liberal Democrats had their minds firmly focussed on campaigning when we gathered in the East Wintergarden at Canary Wharf yesterday, chaired by (Baroness) Susan Kramer. The mayoral candidate Brian Paddick alongside Caroline Pidgeon, head of the GLA list, presented a summary of their manifesto, which had largely been drawn up my outgoing GLA member Mike Tuffrey, who also gave a presentation on housing. There were several innovations at the conference, including a speech on Extremism by Maajid Nawaz of the Quilliam Foundation and some stunning unaccompanied singing by Pauline Pearce, the “heroine of Hackney” who is the Party’s candidate in the Hackney Central council by-election that will take place on the same day as the main London poll, 3 May. There was also a “trialogue” question time which I chaired with a panel comprising London MEP (Baroness) Sarah Ludford, (Baroness) Sally Hamwee and Caroline Pidgeon. Ed Davey, the Secretary of State of Energy and Climate Change, spoke about his role in government and MPs Tom Brake and Simon Hughes shared their views on the current state of play. A central message was that Liberal Democrats should be proud of what we have achieved as the junior partner in Government but we will be campaigning in these elections on a purely Liberal Democrat platform, even if that sometimes diverges from Coalition policy. At the drinks reception at the end of the busy day several participants said it was the best London Liberal Democrat ever, for which thanks must go to Conference Committee Chair Jill Fraser and her team, including Pete Dollimore, who facilitated the training sessions going on in parallel with the plenary. As Deputy Prime Minister, Nick Clegg has more than enough to fill his diary, but it is good that he continues to meet with LibDem members from time to time, to hear their concerns and field their questions. He seems to relish the latter, not only at party conferences, but also at gatherings such as the one organised at short notice in a school hall in Worcester Park in Sutton this afternoon. The event was cleverly timed so that those activists with a free hour or so afterwards could join Roger Roberts and his campaign team in the forthcoming Worcester Park council by-election. Flanked by the borough’s two LibDem MPs, Paul Burstow and Tom Brake, as well as London Mayoral candidate Brian Paddick, Nick was bowled a series of difficult balls, including queries about a possible war with Iran, the replacement (or not) of Trident and the future of the euro (what an internationalist party we are!). Actually, on that last issue, the questioner asked whether Nick could ever envisage Britain joining the euro, to which he rightly replied (here I paraphrase) that one should never say never but it was hardly a likely scenario in his political lifetime. In the meantime, he stressed, it is important that Britain is not isolated from the EU. I can imagine he must have some free and frank discussions with the PM on this, but I hope in the run-up to the Euro-elections he will champion the benefits of Britain’s membership, as well as the need for some reforms. Otherwise, given the Eurosceptic drift in the Tory Party, the nature of the popular Press and Labour’s weak stance on European issues, the matter will go by default, with serious longterm consequences for Britain (as well as for the Liberal Democrats). About a hundred Liberal Democrats from across South East London gathered at the St John’s Church Hall in Downham (Lewisham) this evening, to hear and ask questions about the agreement the party has made to enter into government with the Conservatives. Originally, Simon Hughes was scheduled to speak, but he was reportedly asked onto the BBC’s Any Questions programme at short notice, so his fellow MP Tom Brake ably took his place. I was expecting some unhappy voices among party members and activists, but actually the tone of the discussion was very positive and Tom’s argument that a full deal with the Conservatives was really the only viable option, particularly given Labour’s lack of genuine interest in a deal, was persuasive. One questioner expressed dismay at the appointment of Theresa May as Home Secretary, given her record on equality issues, but I was able to share today’s news that LibDem Lynne Featherstone has been appointed Minister of State at the Home Office, with special responsiblity for Equalities, which is a much more reassuring prospect. The big question, really, is how William Hague will behave as Foreign Secretary, but even on Europe, it looks as though the Tories have been tamed somewhat by the LibDems. There are issues (such as Trident replacement) on which there was no agreement between the two sides, so LibDem MPs will have to abstain on any related vote, but Tom Brake assured us that that won’t stop us arguing the case against, both in parliament and in the country.